Santa Margarita Ranch is an amazing central coast wedding venue with so many unique characteristics. 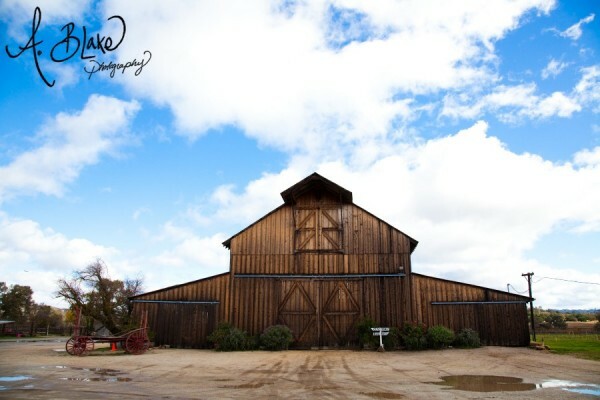 If you are considering a Ranch or Barn feel at your wedding, you need to check this place out. You’ll also love the old movie Marquee and the old Disney train the runs around the property. Have your ceremony on the lawn followed by cocktail hour and then your guests take a short walk to the barn for your reception. They do plenty of weddings so their operation is tried and true, with no hickups. The Barn is in high demand and books out fast for Saturday weddings. A very unique and memorable venue that your guests will be talking about. Who’s involved with the couple during their planning and booking process for the ranch? I handle the booking side and am available to brides & grooms throughout the process. As their big day approaches, we bring in our event manager to handle the day-of details. The event manager oversees all events, and we also have support staff to help ensure the success of every wedding we host..
Why are SO many couples drawn to the ranch for their wedding? What sets this venue apart for other venue options? The Santa Margarita Ranch is an authentic working cattle ranch with a rich history that offers a manicured garden and a majestic stone-walled barn only minutes from Highway 101, with a surprising number of amenities. Couples see a unique, memorable venue that reflects their style and offers a bit of the unexpected to most guests. Whether they envision a casual BBQ or a lavish affair, the rustic sophistication of the Ranch is a perfect backdrop. What services are available to the couples who choose the ranch for their wedding? First, couples get use of the property for the entire day. This includes the garden, historic Asistencia (barn) & bridal cottage. Our packages include tables and chairs for 280 (which we set up and break down), two bars, a site manager, parking & security staff, on-site restrooms, and lighting. Through our family of companies, we can also provide a catering and bar services. What do you wedding packages include? Are there different options for their ceremony spot and reception? There are two areas of the property where most couples hold their ceremony and reception. The Estrada Garden boasts an ancient oak tree, olive trees, rose bushes and a wishing well. Most couples choose this area for an outdoor ceremony. The historic Asistencia (built as part of the California Mission system) is where most receptions take place. With room for up to 280 guests, impressive stone walls, and strands of twinkling white lights it creates a magical ambiance for evening receptions. Although we have had events in other places on the property, these tend to be the most popular and best suited for weddings. The Santa Margarita Ranch is also home to the Pacific Coast Railroad- a narrow gauge steam engine originally from Disneyland! The train makes a 20-minute loop around the Headquarters area of the Ranch. Some couples will book the train to pick their guests up at the ceremony site and drop them off at the barn for the reception. Such a unique addition to any event!